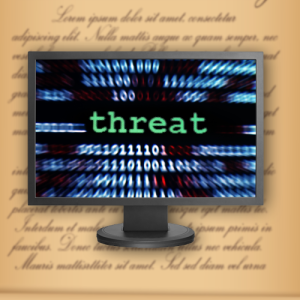 While many were hoping that the U.S. Supreme Court would address whether existing precedent that excludes threatening speech from First Amendment protection applies to online speech, the justices elected to resolve Elonis v. United States on purely statutory grounds. In the wake of a divorce and subsequent job loss, Anthony Elonis posted messages to his Facebook account that threatened violence against his former wife and co-workers. When the posts continued after his former wife obtained a restraining order, Elonis was charged under a federal law (18 U.S.C. 875) prohibiting the transmission in interstate commerce of communications containing a threat to injure another person. At trial, Elonis argued that his statements were protected under the First Amendment’s protection of speech and that prosecutors should be required to prove the Facebook posts fell under the amendment’s true threat exception, which applies to “those statements where the speaker means to communicate a serious expression of an intent to commit an act of unlawful violence to a particular individual or group of individuals.” Instead, the District Court instructed the jury that Elonis could be found guilty if a reasonable person would foresee that his statements would be interpreted as a threat. The Third Circuit Court of Appeals upheld the conviction, holding that that Section 875(c) requires only the intent to communicate words that the defendant understands, and that a reasonable person would view as a threat.